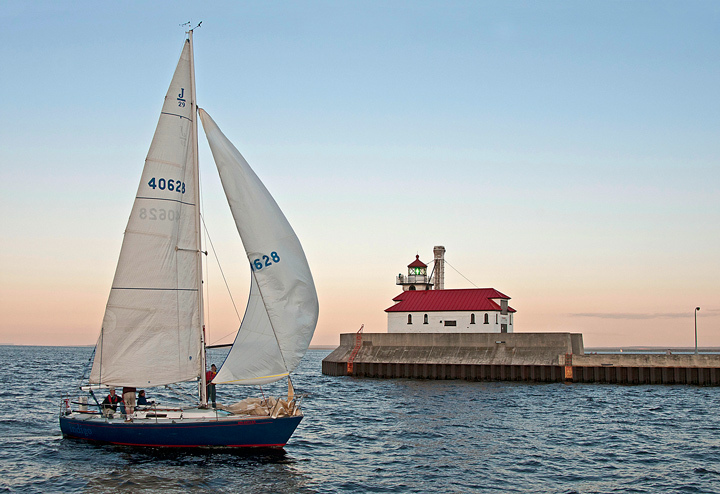 Every Wednesday during the summer the Duluth Yacht Club holds a weekly Regatta just outside the harbor. I usually try to get down to the race at least once during the summer although I don’t have a clue what is going on with the race. I typically go down to the harbor about 5:30 when the bridge lifts to let the sailboats out of the harbor. It is an impressive site to see all of the sailboats come out. They usually race out in front of Fitger’s although you can watch them along the Lakewalk. It is also impressive to see them enter the harbor towards sunset.